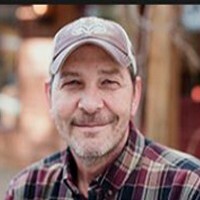 Bret Richmond is a real estate agent in Montana with over 30 years experience in real estate. Brets experience includes commercial property, residential property, land development, redevelopment, site acquisition, hunting properties, specialty properties and property management. Having served in the U.S. Army and participated in Operation Desert Storm, Bret supports our troops and the second amendment. Bret's love of Montana brought him back to the land that his ancestors homesteaded in the late 1800s. Bret represents the 6th generation of his family in Montana. When Bret is not working at introducing people to the land he loves, he enjoys being outdoors year-round with his sons, hunting, fishing, hiking, skiing, and recreational shooting. I work for my clients as if I were searching for something I would buy. Integrity and reputation is all we have and it's not for sale.